Acknowledged as one of South Africa’s finest chamber musicians and music educators, Du Toit received his early training from Meryl Preston at London’s Trinity College of Music and later completed his honours at the University of Cape Town with further studying in Germany. The pianist is currently Associate Professor of Piano at the University of Cape Town and is also Head of Chamber Music. Du Toit has been performing as an acclaimed soloist with all the orchestras in South Africa since the age of 15, and while still a student (in 1988) he was selected to perform with the Cape Town Symphony Orchestra on tour in the Republic of China. He has been a member of The Potch Trio and together with the music ensemble he has performed in Moscow and St. Petersburg. Currently he is a solo artist and performs on occasion with Franklin Larey as the Ixopo Piano Duo. 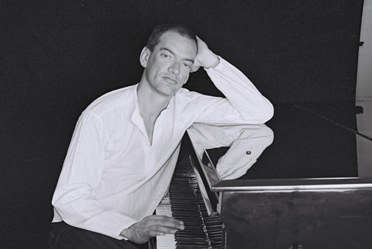 During his studying abroad he distinguished himself in several important international piano competitions, gaining first place in the Hanover Music Competition in 1991, the 1992 Rotterdam and 1993 Marsala Internationals as well as the 1994 International Maria Calla Competition in Athens. Du Toit has over 30 concertos in his repertoire ranging from Bach to Hendrik Hofmeyer and has performed with conductors including Bernhard Gueller, Victor Yampolsky, Alun Francis, Dawid de Villiers and Alexander Lazarev. He has also performed with local musicians Maria Solozobova, Zoe Beyers, Jose Dias, The Symphony Choir of Cape Town and the Cape Town Symphony Orchestra. In 2011 he released his first CD Tchaikovsky, Rachmaninoff, recorded with the Cape Town Symphony Orchestra and conducted by Omri Hadari. What a breathtaking performance at The Hermanus Music Festival on the 16th June, 2013. It is rare to hear duets played with such panache. Just imagine how much better it would have sounded with a Steinway Concert Grand Piano! I often play the first movement of the Moonlight Sonata and thought the second would be too difficult. When I returned home I was inspired to learn the second movement which is not at all difficult – it just needs a lot of practice. Where can one have regular information of where you perform in Cape Town please? It is always worth the journey to hear you play.